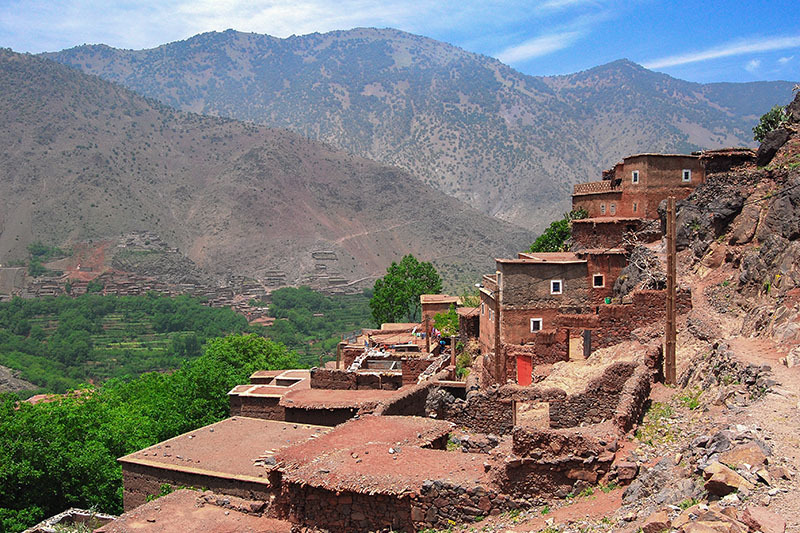 The Azzaden Trekking Lodge, operated by Kasbah du Toubkal, is perched on a hillside in the village of Aït Aïssa (1820 metres) and is reached by trekking from the village of Imlil in the neighbouring Ait Mizane Valley, or from Ouirgane lower down the valley. You can see the lodge at the top right of the main picture. The Azzaden valley is truly spectacular and very traditional. 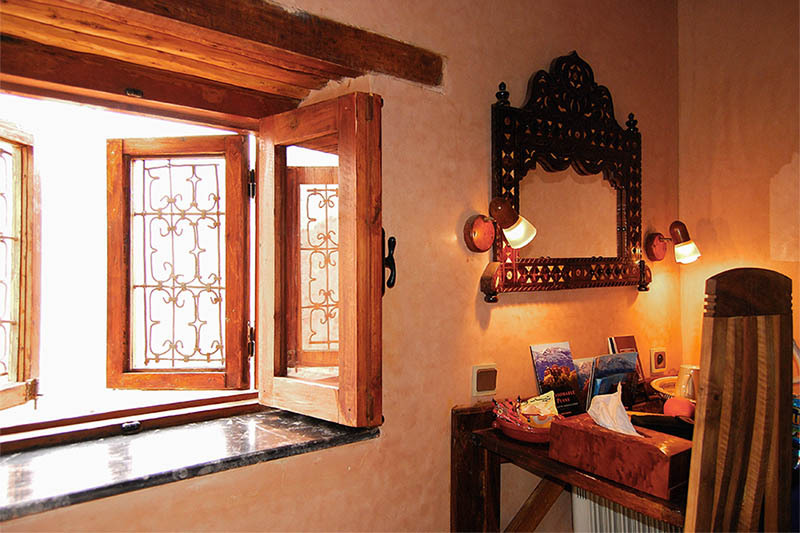 The lodge is comfortable, with an open fire, four en-suite bedrooms and excellent local cuisine. 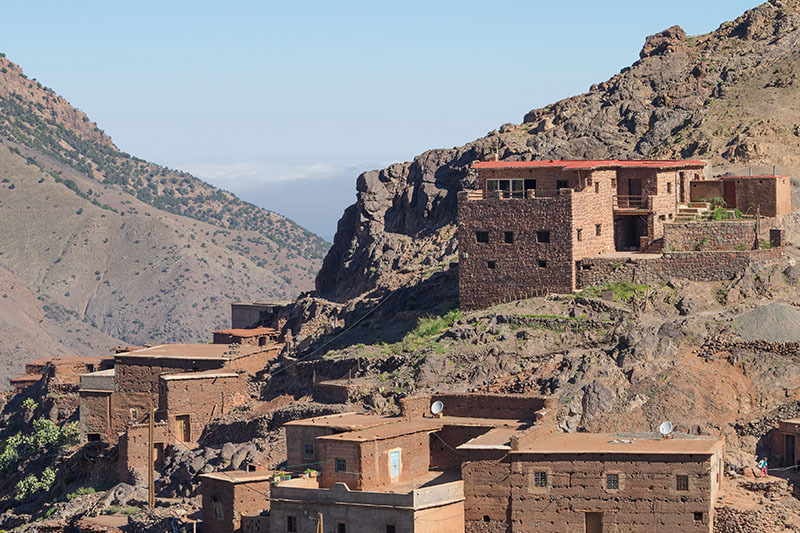 The lodge allows you to stay right in the heart of the spectacular Atlas Mountain without having to compromise on accommodation. Its architectural style is such that it complements the environment of the surrounding villages which welcomes its presence in their valley. 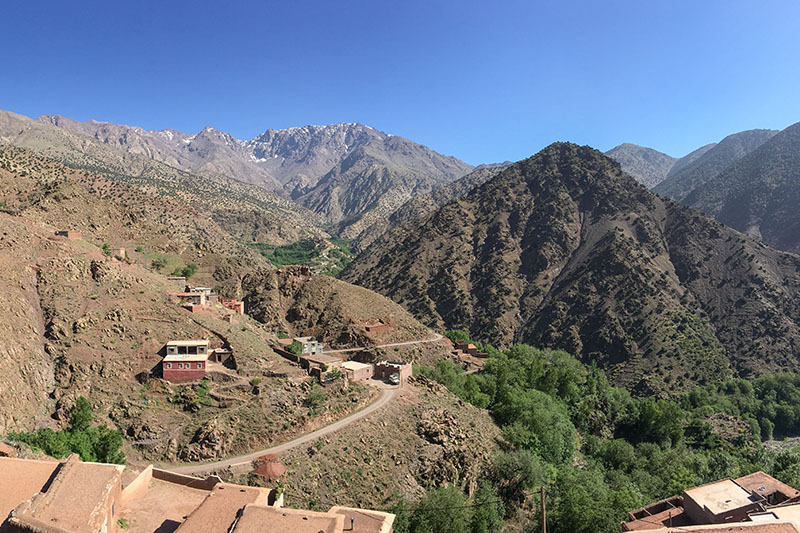 “ We were a bit anxious to do the hike from Kasbah de Toubkal to the lodge. 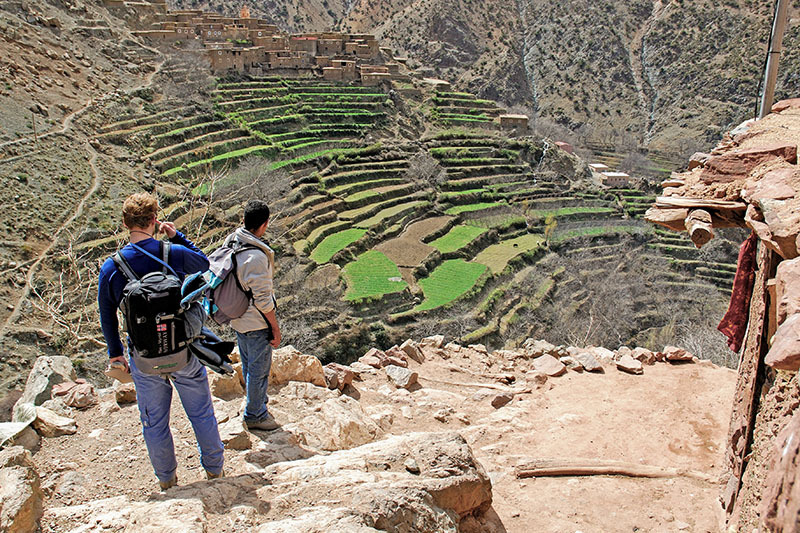 1635 meters up and down during a two day hike is a lot more than we’ve done before. 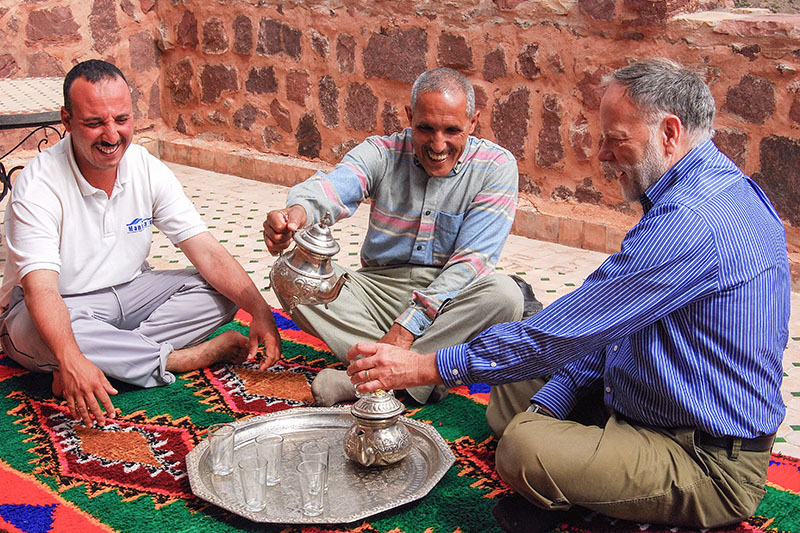 “We’re happy we took the challenge, as the hike was very good, the service was impeccable and the lodge was as good as the Kasbah in our opinion. 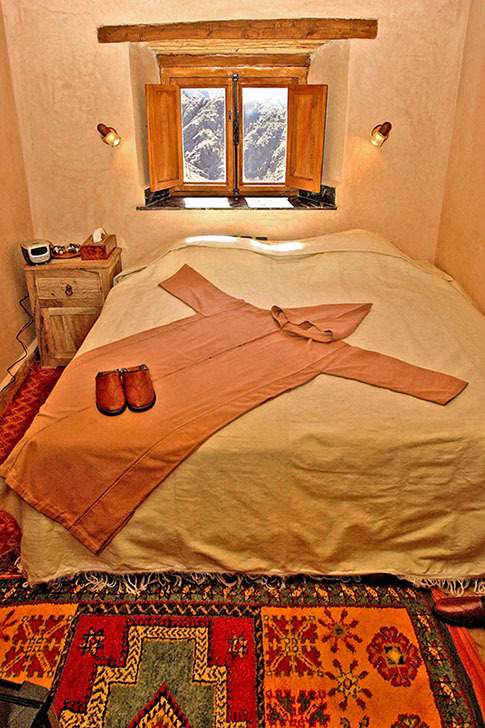 “The lodge rooms are similar to the Kasbah rooms, but with the added bonus of heated bathroom floors. Very, very comfortable. The lodge has 4 en-suite bedrooms each with spectacular views. 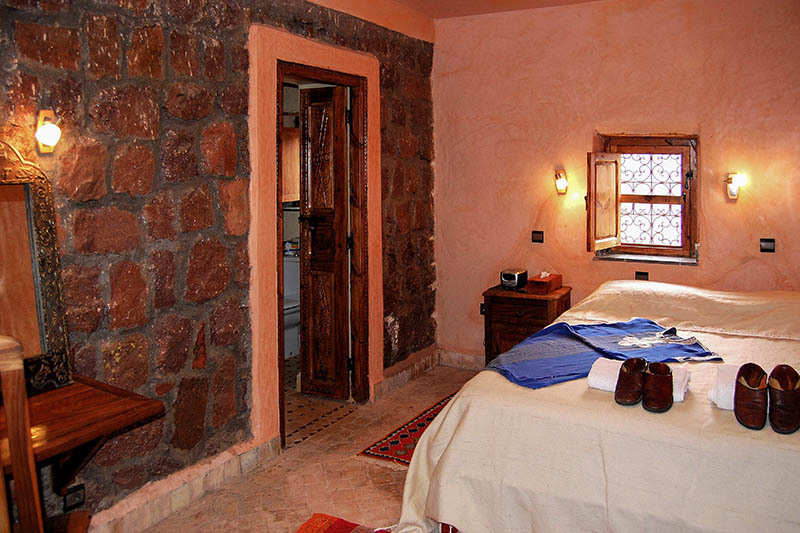 Each bedroom has a bath with shower, a washbasin, a bidet and a flush toilet. 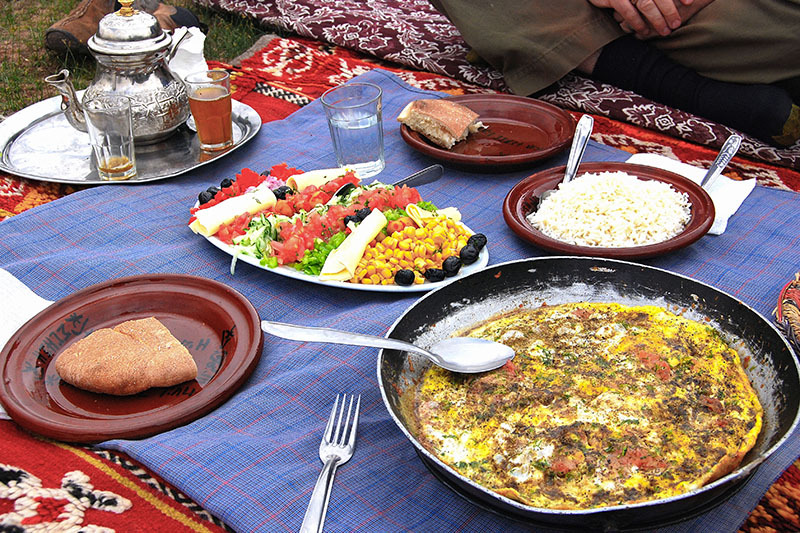 Accommodation is on a half-board basis with set evening meal. Free hot, cold and soft drinks. The lodge has a shared lounge with picture windows, wood burning stove, comfortable seating, music and reading material. 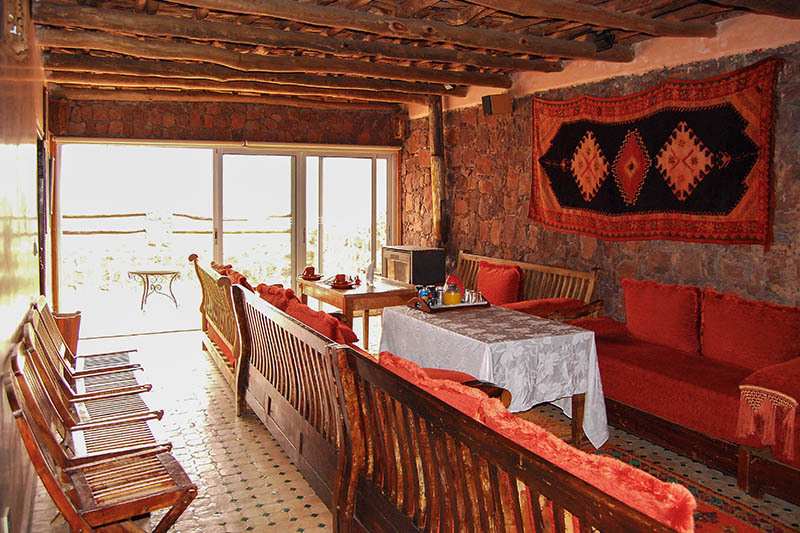 There is a spectacular terrace giving you stunning views of the mountains, valleys and local villages. The lodge has been built in a traditional manner and features wooden ceilings, wooden carved doors and other traditional features. There is a small hammam (steambath) for private use. During cooler winter months, the lodge is heated by solar-powered underfloor heating. 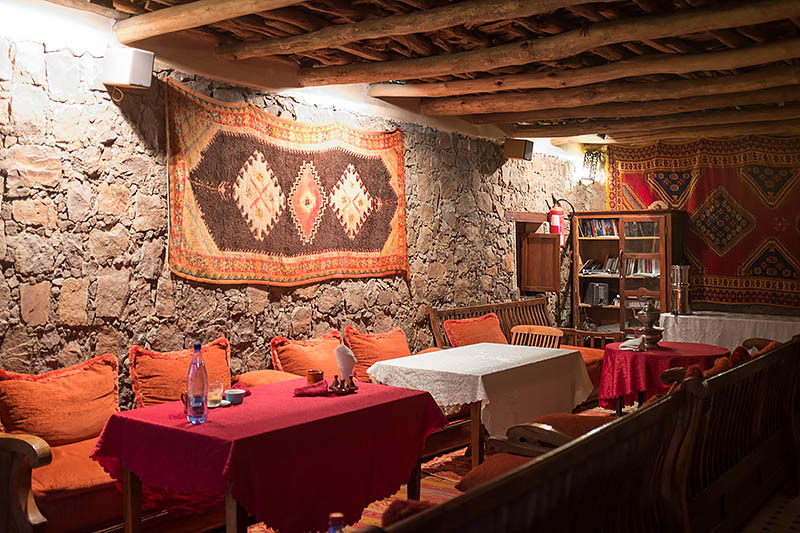 There are a range of treks and circular routes you can make using the Azzaden Trekking Lodge either as a stopover or as a base for day hikes. We can even arrange for you to use mountain bikes or horses so that you can access this wonderfully peaceful and beautiful location. We look forward to welcoming you. 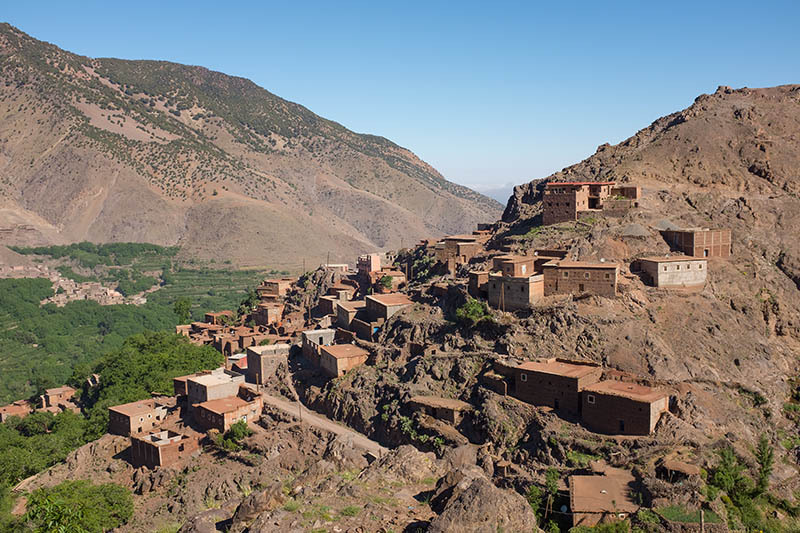 We offer a range of trekking options but by far the most popular treks - our Trekking in Style products - are those that include trekking between our Kasbah du Toubkal in the neighbouring Ait Mizane (Imlil) Valley and the Lodge. Trekking in Style is a concept in trekking that allows visitors to stay in luxury accommodation without all of the hardships traditionally associated with trips to this spectacular region. Our Trekking in Style packages provide each couple with their own personal mountain guide who will be on hand for the duration of your stay to help with planning treks. You can walk as little or as much as you like! 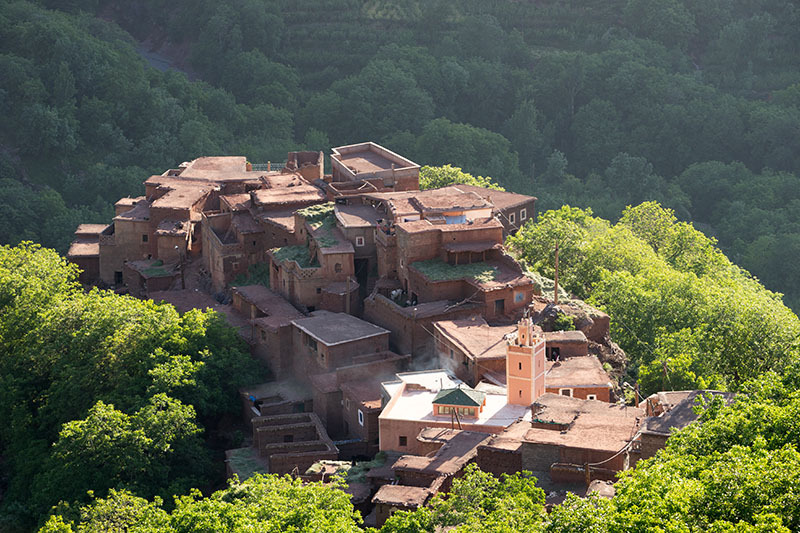 Guests will stay in luxury accommodation at Kasbah du Toubkal - in the trailhead village of Imlil - and also the Lodge. All the trekking is fully supported with a mule and muleteer to carry your luggage whenever needed. For more information on the packages and information on how to book, click on the links above that take you to our sister site. To read reviews from guests who have been on a Trekking in Style package, visit this page. *The above prices do not include trekking to or from the lodge. It can take up to 6 hours to trek to the lodge and the same back. You therefore require trekking for 2 days. Trekking (based on a party of 2) costs 70 euro per person per day. Additional members in your party will cost 50 euro per day. Child prices available. A full-day trek allows you to enjoy your trip in comfort. 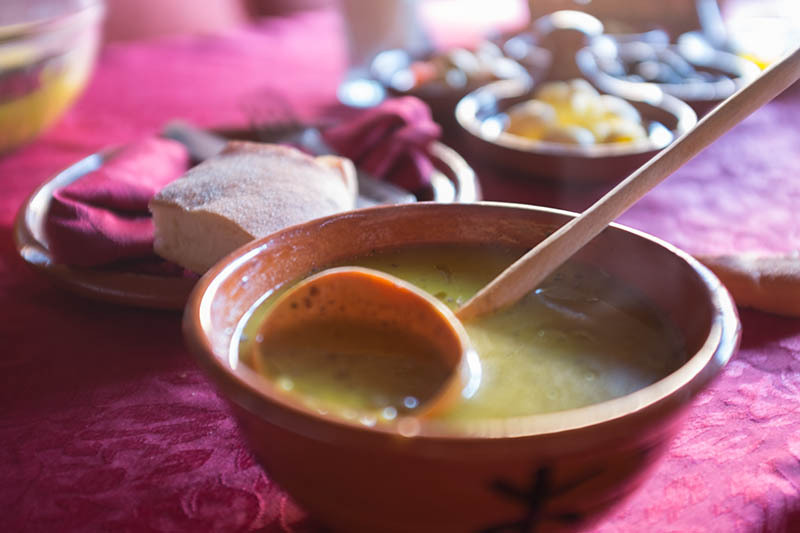 As the trek is supported, you will be accompanied by a guide, a mule and muleteer who will also be your cook. Lunch is included. The mule is for the food and minimal luggage. Half-day treks are accompanied by a guide only. If a mule is required to be ridden, an additional mule needs to be requested at time of booking. Price 15 euro per mule per half day. 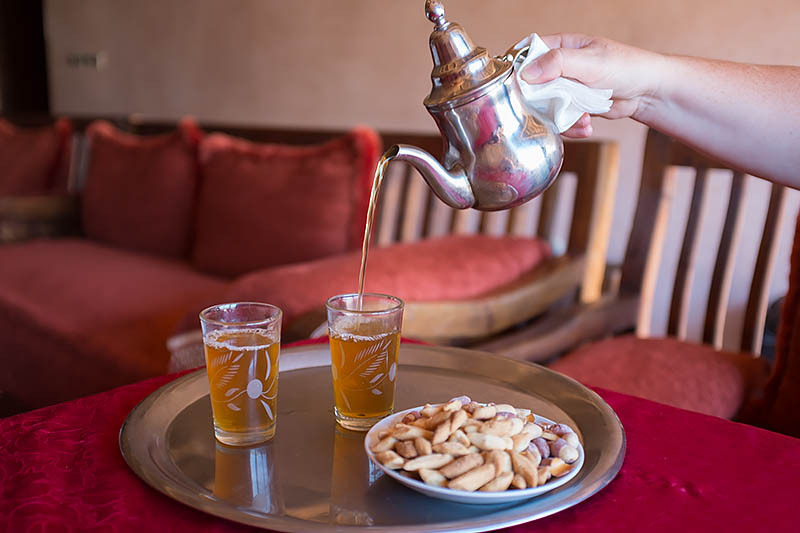 In keeping with our commitment to the local community, all our invoices will incur a 5% charge to the Village Association “Association des Bassins d’Imlil” which covers the whole of the surrounding valleys. This association provides the ambulance in Imlil that provides a service to the local population and visitors. Other community projects that have been undertaken include the rubbish clearance system, the provision of the village hammam and the work of Education For All. 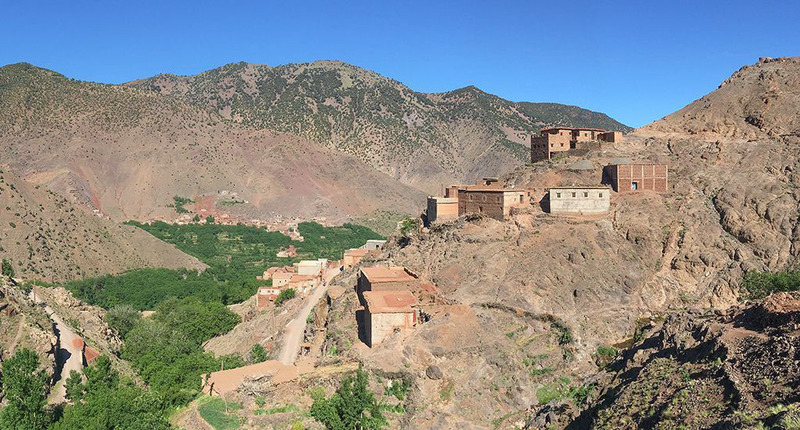 Copyright © 2016 Kasbah du Toubkal, Imlil, BP 31 Asni 42152, Province d’Al Haouz, Marrakech, Morocco. 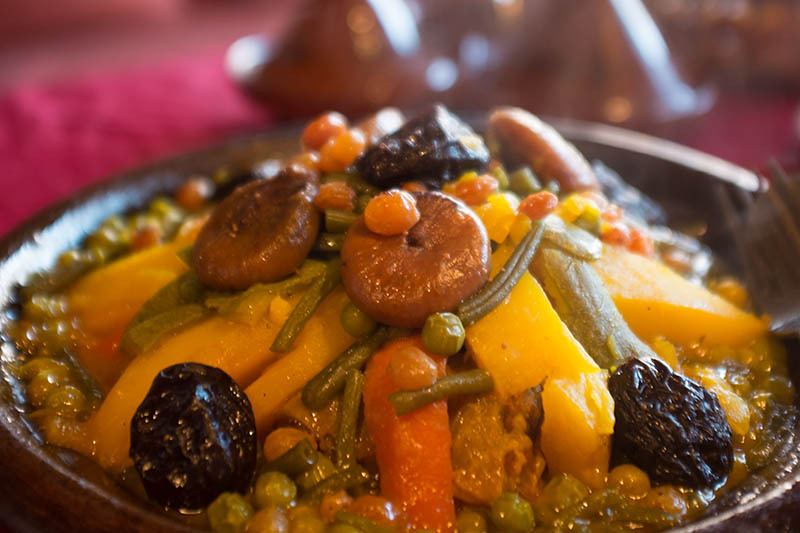 Site design: Moroccan Websites.